Apparently all of Super Talent's overclockers' memory in this range is tested at 1,000MHz as standard, with nice tight latencies of 4-5-4-12 on a setup very similar to our rig's. Unfortunately it's not exactly the same, and this kit failed to work at the claimed settings at all. 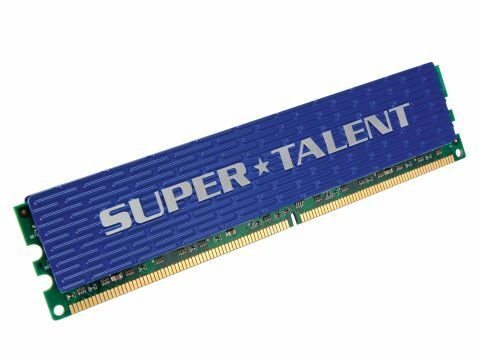 Dropping the troubled RAM's clockspeed down to a far more reasonable 800MHz produced a stable performance and some decent benchmarks, which goes a long way to redeeming the Super Talent offering in our eyes, although performance did drop off rapidly by 900MHz. Given the qualities of the other memory options out there, then, we'd advise against pinning all of your overclocking or high-end gaming hopes on this RAM, as it lacks the flexibility to cope.